“Traditional leaders within the province of KwaZulu-Natal have a critical role to play in our government’s efforts to grow the economy so that thousands of jobs can be created in rural areas,” said KZN MEC for Cooperative Governance and Traditional Affairs (Cogta) Nomusa Dube-Ncube whose department today hosted a summit with amakhosi from within the eThekwini Metro. The aim of the summit was to empower amakhosi with adequate knowledge of the opportunities the provincial government has identified for them and their respective communities. In her address, Dube-Ncube urged amakhosi to explore these opportunities with the purpose of strengthening local economic development in rural communities. Key amongst these projects, according to Dube-Ncube, is the Radical Agrarian Socio-Economic Transformation Programme which is aimed at ensuring that rural communities participate in the procurement of fresh produce by government for various purposes, such as the school feeding scheme, or hospitals, jails and other departments. “In our communities we have so much land we can utilise to produce things that are in demand within our local economy and even in other countries. Government has gone all out to ensure that adequate resources and support are ploughed into supporting our communities in farming and all related sectors of the economy,” said Dube-Ncube. The knowledge and insight gained by amakhosi through today’s summit will be taken home to their respective communities. 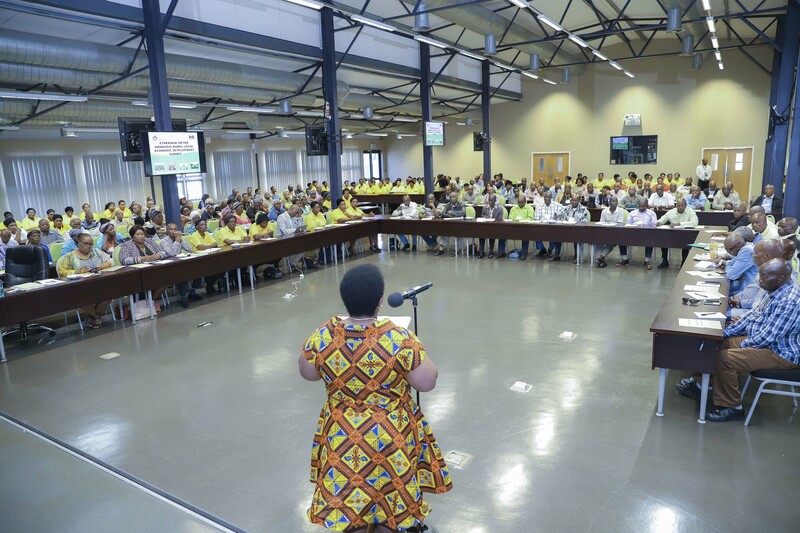 Summits such as this one are conducted in all of KZN’s district municipalities. The eThekwini leg took place at the Public Works offices in Mayville, Durban today.